The individuality that comes with personality-driven roles can make them among the most difficult to recruit for. 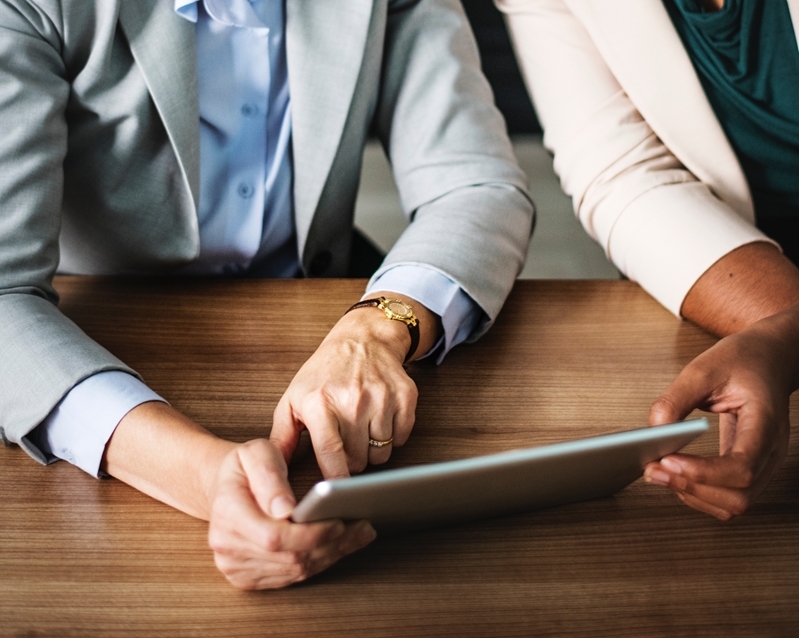 However, great salespeople do have a few things in common, and being able to identify these traits is crucial for managers looking to build an effective team. Let’s explore the qualities that make a successful sales rep.
Knowing what makes a successful sales rep will help your recruitment processes. The best sellers don’t just want to make their targets, they want to continually overperform. But being competitive goes beyond a simple numbers game. People who aim to constantly be at their best will also take time to acknowledge where they can do better, and make the necessary adjustments to how they approach their work. This could mean brushing up on product knowledge, improving customer research or working on aspects of their pitches. Crucially, the right level of competitiveness will also make these sales reps open to coaching from others and new technologies that will assist in their day-to-day. However, there’s also a responsibility on you as a manager to instigate initiatives to allow these people to develop themselves. Relevant and easily accessible training goes a long way to satisfying their desires to improve, and ultimately your business will be the beneficiary. All the confidence, technical expertise and training in the world won’t convert leads into customers without a touch of personality. Even with the world of business increasingly revolving around the latest technological breakthroughs, the ability to connect with customers is something that remains uniquely human. Prospective customers need to be convinced that your sales reps fully understand their business, and that the product or service you’re offering is relevant. A good sales rep isn’t someone who can throw out the most industry buzzwords, but rather someone who is adept at gaining the trust of a customer, and establishing a rapport that will lead to effective upselling. A one-size-fits-all approach isn’t the answer here. The ability to adapt pitch style, voice tone and even the language they use to match that of the prospect is a skill that is difficult to teach, but one that can make all the difference to conversion rates. The capacity to field unexpected questions and remain calm is a vital quality of a successful sales rep. A last-minute stumble or moment of uncertainty can derail the perfect pitch and cause the client to lose faith. Alternatively, becoming flustered can be a buyer’s cue to apply extra pressure on their side of the negotiations. Being able to keep a cool head also stops your sellers from promising the earth and then later having to backtrack – a tactic which can be very off-putting for customers. Having the confidence to pause and think before speaking, rather than responding immediately is vital. It can be tempting to simply tell the customer what they want to hear, but this is usually not sustainable in the long run, and can detract from a sales strategy. Being organised allows your sales reps to prioritise the most important interactions. Going into a call or face-to-face meeting unprepared is a recipe for disaster, so being organised and thinking ahead is an essential quality for a sales rep.
That’s why even the best sellers can profit from great CRM software. This allows them to access a wealth of customer data which in turn enables them to optimise every conversation, giving them an extra edge. 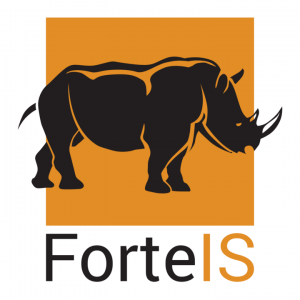 Rhino, a powerful and easy-to-use CRM software from the team at ForteIS, was designed to make customer management effortless and efficient. Accessible on any connected device, the system was designed with dynamic and on-the-go sales reps in mind, ensuring they have a bank of customer information at their fingertips at all times. By storing and collating client, product and sales data in one place, Rhino empowers sellers to focus on the interactions that really matter. It enables reps to identify and group customers in specific areas to minimise travel, and maximise time spent selling. Consistent customer communications is another of Rhino’s features that assists with building better relationships and, as a result, sales outcomes. 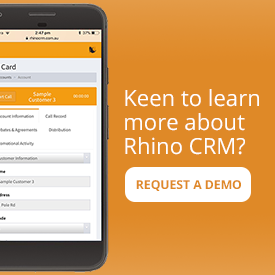 Rhino can generate call cycles that allow agents to plan their schedules, meaning they can use historical patterns to ensure they only engage with customers at optimum times. For more information on Rhino, or to request a free demo get in touch with the team at ForteIS today.